The latest version of Ubuntu is 13.04 which comes with lots of updates when compared with its previous version, Ubuntu 12.10 (Quantum Quetzal), Ubuntu 12.04 (LTS). The drivers for most of the hardwares are available in the Ubuntu itself, but they may have some conflict while automatically configuring them. It is always a problem with the USB modem to configure automatically. So you have to do it manually. The people who are new to Ubuntu will just switch from that Operating System because of these types of small issues. It is very simple to fix these problems. Here I am going to explain how to configure Micromax 3g USB modem manually. Some may try lots of things with Ubuntu’s configuration file. There is no need for doing that much. It can be simply achieved in 4 steps. Caution: Dont copy codes directly from the page sometimes it caused errors. Best to type the codes on your own everywhere. It is very simple to find the product ID of the Modem. The command opens the text file with the above mentioned name in the text editor. Add the following lines to that file and save it. Execute these commands in the terminal as root user to configure the modem. Open Network Connection Manager. 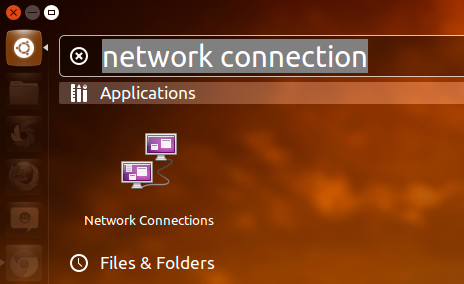 You can open it by selecting Edit Connection from the dropdown menu which appears on clicking the network icon on the top right corner of the desktop (or) open the Dash Home and search for “Network Connection” (or) select it from the Applications -> Customization -> Network Connection. Restart the PC without unplugging the USB modem. Connect using the Mobile Broadband. After restarting process finish the login and wait for few minutes. It would take some time to configure so please be patient. 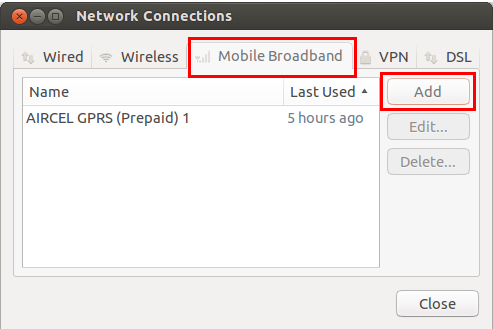 The new mobile broadband connection is visible and available on the network connection list. Connect to the Internet by clicking on that. 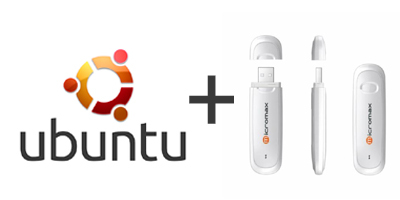 Now your Internet is Connected with your USB Modem on Ubuntu 12.04. The Mentioned steps worked Effectively better in Ubuntu 12.04. For the Version of Ubuntu 12.10 and 13.04 after all these steps you have to execute a additional command on the terminal. Change to root user using the su command. Wait for a while it will take some time . You will see your your modem connection visible on the default connection. Note: If you want to run the command automatically whenever the system starts add the above code to the file rc.local before the line exit 0. To edit the rc.local file use the command. 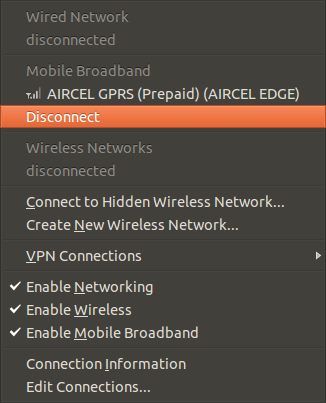 Finally micromax 3g Modem Connected on the Ubuntu 12.10. If you have any doubts, just drop your queries in the comment section. I followed all the steps above. But my micromax 353G usb modem is not connecting to internet. one doubt, when I add a new mobile broadband connection, there is this username and password, but for AIRTEL 3G there is no such username or password, So I just left blank and saved the connection. upon restarting the PC without unplugging the USB, I can see my connection at the network connection list. But it is not connecting. need help will be greatly appreciated. I’m a new bee to ubuntu, hope I can change from windows and permanently use ubuntu. Make Sure that the drivers are installed correctly after executing the command “usb_modeswitch -c /etc/usb_modeswitch.d/1c9e\:9605 ” as given below. Install ” usbutils” from the Ubuntu software center and try again. Hope there is a problem with the installation. Reinstall or update & upgrade the OS. This Give Better Solution. Connect to the internet through another source and Update your OS . I am able to connect now in Ubunto 12.10 with your procedure. But I am facing one problem. Its only connecting in EDGE where I have 3G connection. I am able to connect the same 3G sim with a different device of ZTE which connected with out any manual config and connected in 3G. Could you please help me what the configuration I need to do so that it will connect through 3G. now please tell me how to resolve this error. i am using the same usb modem and having the same poduct id. lsusb and where u got the error. The Mentioned steps worked Effectively better in Ubuntu 12.04. For the latest Version of Ubuntu 12.10 after all these steps you have to execute a additional command on the terminal. Hi Akhand. U r welcome. The root password and admin password both are different. U r using the sudo command first time in the terminal it asks for the sudo password(admin password). Refer the Note in the 3rd Step. For further Clarification drop a comment. No joy yet. What could be my mistake? wait for a while ..
New broadband connection visible under the network icon on the notification area. I had followed all the steps elucidated by you meticulously, and tried a few times, and got stuck everytime with the last step. for 12.10.after i give the first command .it says no directory like this exists.i changed it and gave the correct address then it said “permissin denied” .i was assigned as a root user. I am not sure in which step you faced the problem, but I also get such problem. I thik if you type your code following by “su” only then you get such problem.. to get rid of this you have to set a password for “su”. Skip And Start From the Beginning. First of all thanks a lot Suriish ji. I searched in askubuntu.com but it did not work, finally your idea worked. what an idea sir ji. Whatever my following the first part did not go in vain and infact while following your tutorial I also learned how to se su password in ubuntu 12.10. The funniest part is the echo code. I run the echo code and network name appeared on the top bar, I did not notice when it was happened.. I already had another connection setup, that was a reliance modem. fortunately it was automatically detected by ubuntu 12.10. so I did not had to face any problem. But, you also said that to run the echo code automatically we have to add it on startup file, but I did not wanted to do anything to startupfile in fear that it will slowed up my ubuntu booting. So I skipped it and restart my pc. Thanks a lot again, you are a genius..
What is this number? I have a Micromax MMX355G Modem. Message content is one of the configuration setting of the USB modem, it is hex string containing the message sequence sends as a bulk transfer. 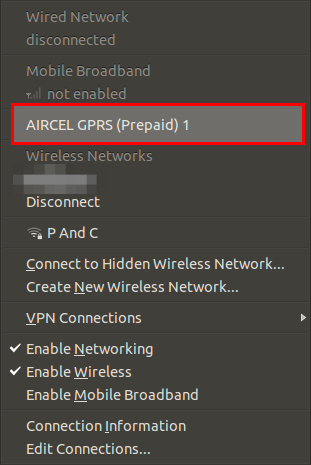 I am using airtel sim in micromax 353G modem to connect net. Mostly the light is pink in the modem when the internet is connected and just after it is connected light turns green. This leads to disconnection and also modem connection is not visible on default connection. Even when I type in the echo command in the terminal modem connection option doesn’t come. I have to unplug and plug the modem again and then type in the echo command from the terminal then only the modem connection option comes. It was working fine a while but now whenever I try to connect, it connects but then disconnects instantly. What could be the reason? After Reset you modem configure the modem as i explained in the tutorial. U can see the New Broad Band Connection in the notification bar. I you cant unplug and re insert the modem again wait for a minute. Still facing Problem drop a comment. I have an MMX377G model and I’m running Ubuntu RR. Not only is a storage medium not shwoing, `lsusb` doesn’t list my dongle either. What should I do to get the Product ID and Vendor Name? I tried Googling for `MMX377G “product id” vendor`, but got no results. Check the Spell. Keep your distribution update. I double check but no result,how to get distribution update??? “sudo apt-get update && sudo apt-get upgrade” – to get the updates. I am sure there must be a file called “modules.txt” in the “etc” folder. Browse for it or else create a new one with the given content as in step two then use the command “sudo depmod -a”. Still problem persist drop a comment. all my efforts turns to be futile. even i try to open the modules.txt but it is saying that i dont have permissions to edit. This resolved my issue.. Thankyou very much.. There is no file in “usb_modeswitch.d” what to do help me out I have tried many times logging as root. yes vikram your are correct there is no files in the Usb_modeswitch.d folder. We have to create the required textfile with the appropriate contents. “gksudo gedit /etc/usb_modeswitch.d/1c9e:9605” this command Create and open the blank text file. Copy and paste the codes below the command mentioned and save it. Thank you so much. your method worked even for micromax 353G data card in ubuntu 12.10. A word of caution: dont copy codes directly from the webpage. even the commands for terminal. It caused some strange errors. Type the codes on your own everywhere. Welcome Bibaswan, I added the mentioned caution to my post. Thanks. I have bought Dell Vostro 2520 laptop. 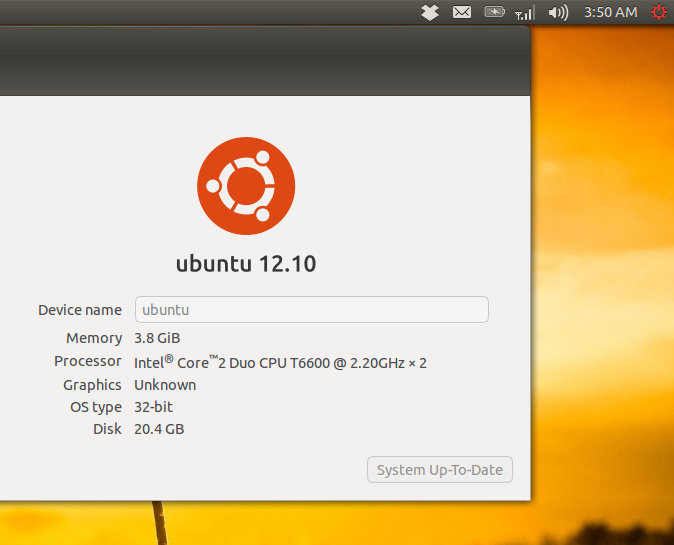 It has some operating system called Ubuntu 11.10 . I am a user of micromax 352g 3g usb modem on the windows 7. I am not able to use this modem on my newly bought laptop. I shall be thankful If you help me,by telling me the most basic steps to configure my OS (Ubuntu 11.10) for my Usb datacard (micromax 352g) ! Will the above step work for me too? I have tried to follow the above steps ! 1) After pressing Ctrl+Alt+T, a black window is appearing ! That thing that written in that black screen is the “user and the computer name” so it must differ. 1) update your operating system to the latest version and then try. I have tried this but it did not work. I use Alcatel X230L modem. lsusb output for this one is. I just replaced the vendor and product IDs. if you still facing connection problem drop a comment. I am using linux mint 15 . but after completing the step 3 it is not matching with ubuntu 12.04. Can you plese help me? I tried the same steps in mint15. But still network indicator is not showing the modem. This will help who having trouble in automatic configuration of USB Modem in Ubuntu. “Dont copy codes directly from the page sometimes it caused errors. Best to type the codes on your own everywhere.” you had warned unlike what I advise my clients. For this page you can say that again. Eg, in the line “modprobe usbserial vendor=0x1c9e product=0×9605” there is no “x” between the characters 0 and 9. It is a unicode lookalike of x. While x’s Unicode value is denary 120 the character aforementioned has Unicode value denary 215. So readers better retype everything. x and × Notice the difference. There are more such problems. But thanks very much for the tutorial. thanks for pointing out the difference between letter X and ×! ignore that and proceed to next step or else Update your OS .. If u still facing the same problem drop a comment. it show the new mobile broadband icon but not work? which version of ubuntu most preferable? I am using micromax 352g modem. FATAL: Error inserting usbserial (/lib/modules/3.9.8-030908-generic/kernel/drivers/usb/serial/usbserial.ko): Invalid argument. please help me to solve this issue i shall be very much thankful to you for your help. I wish to know whether u changed the message content for MMX 353G, I tried the same of 352G it shows Edge connection only and even on windows I can only find edge connection please help me in reverting back to the original configuration of MMX 353G. Confirm whether your area have a 3G coverage. How to get message service or dial up service just like in window’s ………..? Dear, I use this many times but couldn’t sucess to connect my modem. Please let me know the procedure once again and send the updated programming because in given programming some problems occurs i.e. space bar etc. I am using Micromax MMX 352G 3G Dongle. I have Airtel E303H Huwai mobile broadband Modem And I am using Linux mint 16 kde. It’s always been a bit of a problem making this modem work with versions of Ubuntu since 12.04. In Ubuntu 14.04 I used the command “sudo modprobe usbserial vendor=0x1c9e product=0x9e00” to get it detected by Network Manager and then configured it to connect to the internet. But I cannot get a speed of more than 123 kBps on Ubuntu, whereas in Windows 7 and 8, this speed touches about 310 kBps. How do find out why this limit of 123 kBps is set on this modem when working in Ubuntu? I reinstalled Ubuntu and also tried Linux Mint 17, but still this modem limits itself to exactly 123 kBps. Disable the Ip6 in your ubuntu machine. and try again . Don’t take the above values as carved in stone. There is significant measurement error involved, which (to my knowledge) cannot be avoided entirely. I shall update my findings. Recently I bought Vodafone K4201 I USB and the company name (as shown in lsusb) is ZTE WCDMA Technologies MSM. I am having similar problem. The USB modem is not mounted and I have Ubuntu 12.04 in my laptop. I tried to follow your instructions but I could not proceed with the step “Editing the content of usb_modeswitch.d” as I am not sure what to assign against Message Content. Can you please let me know how to get this value or is it a standard value? Please write a post to configure Micromaxx 352g modem on Ubuntu 14.04 LTS. Same step, Have you tried it? Please write a post to use Micromaxx 352G Modem on Ubuntu 14.04. I shall be highly greatful. You can’t get stable speed in 2G sim card. Sir I using Micromax MMX 353G USB modem, when I tyep in terminal (in Kubuntu 14.10) It showing the address like this – 1c9e:f000, so i unable to try you said above. Please help me what can I do ? After I typed in the command to edit Module it says command not found. Can I reuse the modem in windows 8.1 after installing it in ubantu 12.10? Yes.. you are installing only the drivers for the modem in ubuntu, It will not change anything in your modem by any way.. Following your post I was able to use my modem in 12.04 and in 14.04 it was automatically detected.But in ubuntu 15.04 nothing happened.And I can’t use the modem.I have already asked this question in askubuntu http://askubuntu.com/questions/630286/micromax-modem-not-working-in-ubuntu-15-04-again . Please help. check whether you correctly modified the value of vendor and product which show by lsusb command. I have changed product id values 9605 to f000. But no help.It also not connecting in ubuntu 15.10.The value of lsusb still does not changes.Please look at this matter. I sucesfuly connectd Micromax 300G, but sir unable to change the network mode from 2g to 3g (coverage area is good for 3g) and 3g network show when i connected in Windows. Please help me…. Thnaks a lot man. I got it running. Micromax 353G usb modem supports voice & SMS. Can you tell how to make a voice call ? Nope it wont support direct voice calls !!!! Check the double quotes in message content section. Delete it and type those manually . If you copy paste the code there may have a chance of error.